In most basic terms, the algae get shaken to bits – just like the opera singer smashing a wine glass with that perfect note! 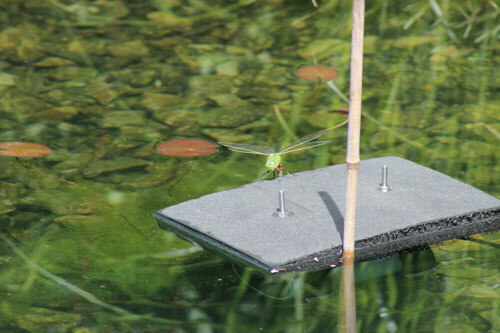 The transducer(s) is positioned in the pond or lake, just below and horizontal to the surface and emits the ultrasound waves out into the water. When these high frequency pulses strike algal cells, the cells begin to oscillate. 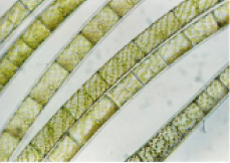 If the algae, such as the blue/greens, has a gas vacuole (for buoyancy), then the vacuole also starts to resonate – to such an extent that it continues to increase in size. There comes a point when the vacuole becomes unstable and collapses, making the algae sink to the bottom of the pond. 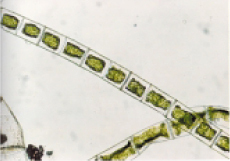 Algal species which don’t have gas vacuoles react differently. The vibrations from the ultrasound cause the inner cell wall of the algal cell (plasmalemma) to become detached from the outer cell wall – this means that water, gases and nutrients can neither be absorbed or expelled and as a result the algae dies. 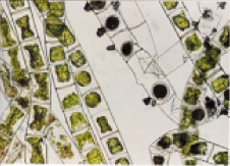 The pictures below were taken by the Centre for Aquatic Plant Management and demonstrate the effect of ultrasound on the cell structure of Spirogyra as mentioned above. Once can clearly see how the plasmalemma becomes detached from the outer cell wall. If a lake or pond has an abundance of submerged vegetation, then ultrasound will not work. The ultrasonic waves, which have no effect on plants, will be blocked by their physical presence – so any algae present will only be effected in the immediate presence of the transducer unit. Our units have been undergoing scientific evaluation trials at the Department of Sonochemistry at Coventry University, as part of a PhD Thesis, the results of which will be published on its completion. The simple answer is yes. Mammals, birds, fish,invertebrates & plants are unaffected by the ultrasound – just the algae. 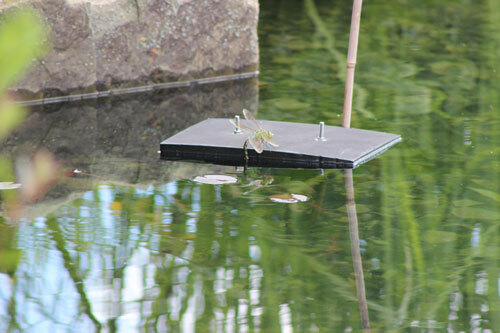 Above and below is a dragonfly laying it’s eggs on a tranducer float! All these products are set up to cope with most common algal species, such as the greens, blue/greens and blanket weed. However, different algae are susceptible to different frequencies, so all models have the facility to be re-programmed to emit frequencies that will work on extra stubborn species. Its just like changing the music to get rid of unwanted guests! If the unwanted guests like classical music, then we just change the music to heavy metal …. and watch them go! If the ultrasound is generated in regular pulses, it will be reflected back by pond edges or obstructions such as rocks or islands. As a result, the outgoing and returning waves can ‘cancel’ each other out creating ‘quiet’ areas where algae will be unaffected. With Smart Sonic units, the ultrasound is generated at irregular intervals to guarantee maximum effectiveness. Not only will the ultrasound kill off the algae, but it also eliminates ‘biofilm’ – this is the bacterial ‘slime’ that can be found growing on submerged surfaces. This bacterial ‘biofilm’ growth provides a substrate onto which other organisms (such as algae) can attach and grow. The ultrasound units are proven to eliminate many water borne pathogens and bacteria such as E.coli. The growth of Legionella bacteria can also be prevented, as they are dependent of the presence of biofilm to grow, so with the elimination of the biofilm, their growth is inhibited and so can also be used for water treatment or in cooling systems, thereby reducing the need for chemical treatments.